An artist of extraordinary musicality, Al Dual is a craftsman who knows how to faithfully bring back sounds from the early days of American music. He has collaborated with great artists such as Paul Pigat, Chris Casello, Lisa Pankratz, Tommy Harkenrider, Chan Romero, Eddie Nichols, Mike Sanchez, Ron Felton, Sue Moreno, Chuck Onofrio, Ron Landis and Jan Jambers Menke, among others. 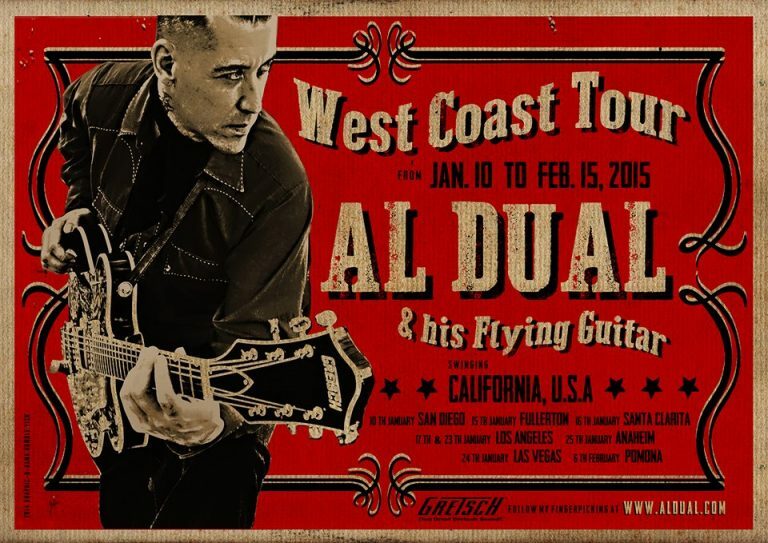 Forerunner of the Rockabilly & Country guitar in Spain, -as it is also outside our frontiers-, Al Dual is one of the most patriotic artists with more recognition in the international scene of the Rock´n´Roll classic. In 2015 he toured various cities on the North American West Coast, conquering cities such as Los Angeles, Las Vegas, Pomona, San Diego, Fullerton and Santa Clarita, among others. He has also performed in magnificent clubs such as “Kensington Club”, “The Tower Bar”. Spike´s”, “Til Two Club”, “The Juke Joint”, “Eastside Luv” and “The Continental Club” in Austin ( Texas ) temple of American country music. 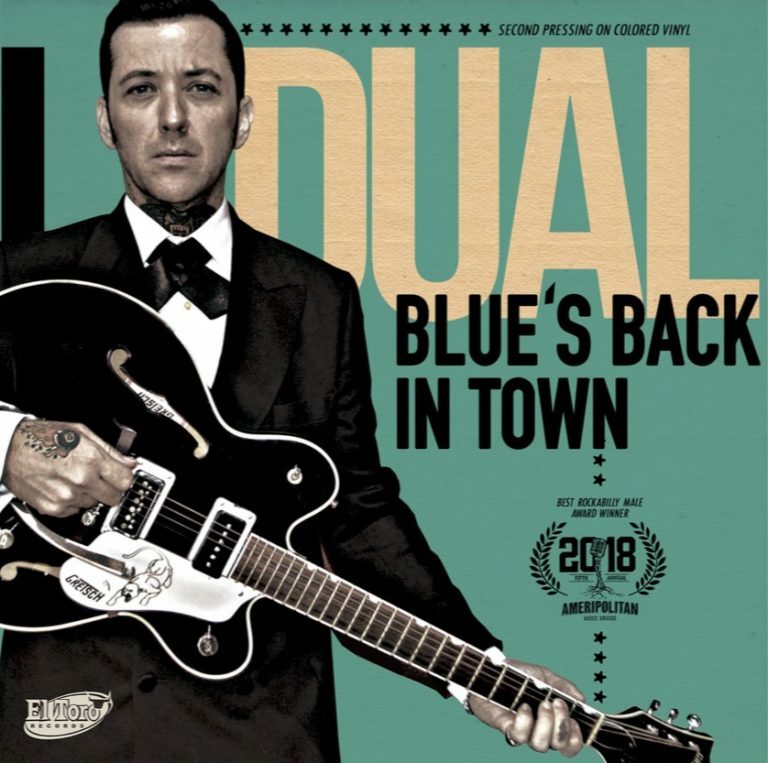 In 2017 he publishes EP ” Blue´s back in town ” ( El Toro Records, BCN ) recorded and mixed between the cities of Madrid and Valencia, and mastered in “Georgetown Masters”, -Nashville, Tennessee-, fetish studio of many of his favorite artists ( Willie Nelson, June Carter, Sonny Burgess and Johnny Horton, among others.). He also records his first Video Clip with the same title. The piece is key in the projection of his work as a soloist, also revealing himself as an exceptional vocalist. 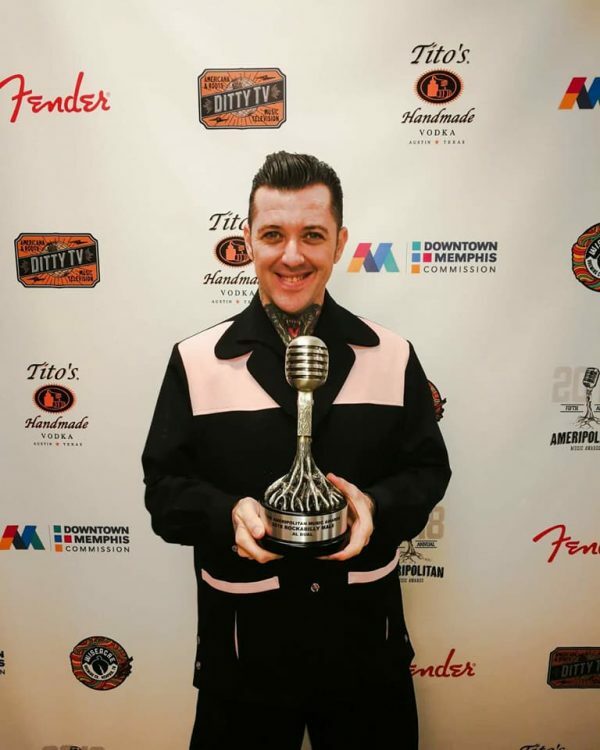 Beginning this year, he is awarded the prize for Best International Male Soloist at the famous Ameripolitan Music Awards, held in the city of Nashville since 1959, during which he presented an overwhelming live performance to specialists Dale Watson, Celine Neal and Silvia Neal, and thus becoming part of an exceptional list of artists along with Big Sandy, James Intveld or Reverend Horton Heat, among others…. 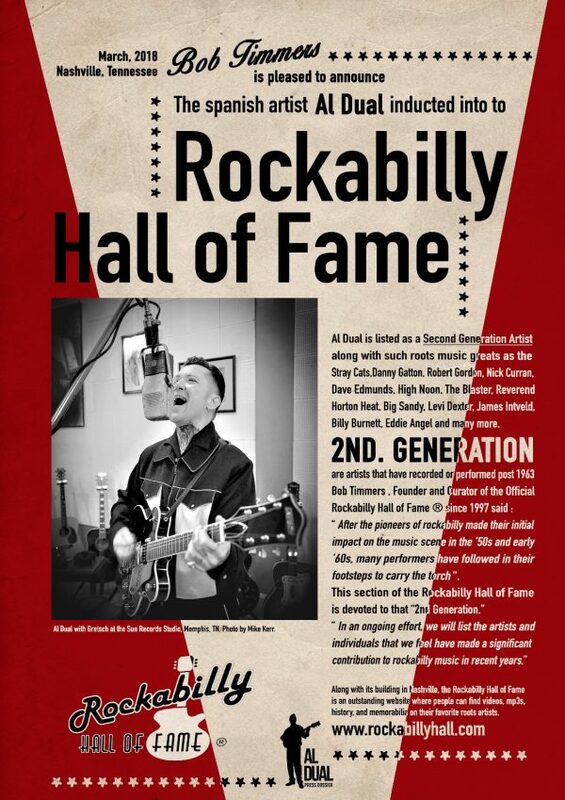 Additionally, he is chosen as a member of the Second Generation of Artists in the Rockabilly Hall of Fame, founded by Bob Timmers, who preserves the most significant of international Rockabilly.  Dual, with this honor, writes an important new line in the history of the genre along with names such as Stray Cats, Robert Gordon and The Blasters, among others. He has presented, in a vibrant live show, his album and his band in the Murcian auditorium of Puertas de Castilla with a magnetic live gig of 60 minutes and full house. Also, full house in the presentation at the Rock Palace in Madrid. 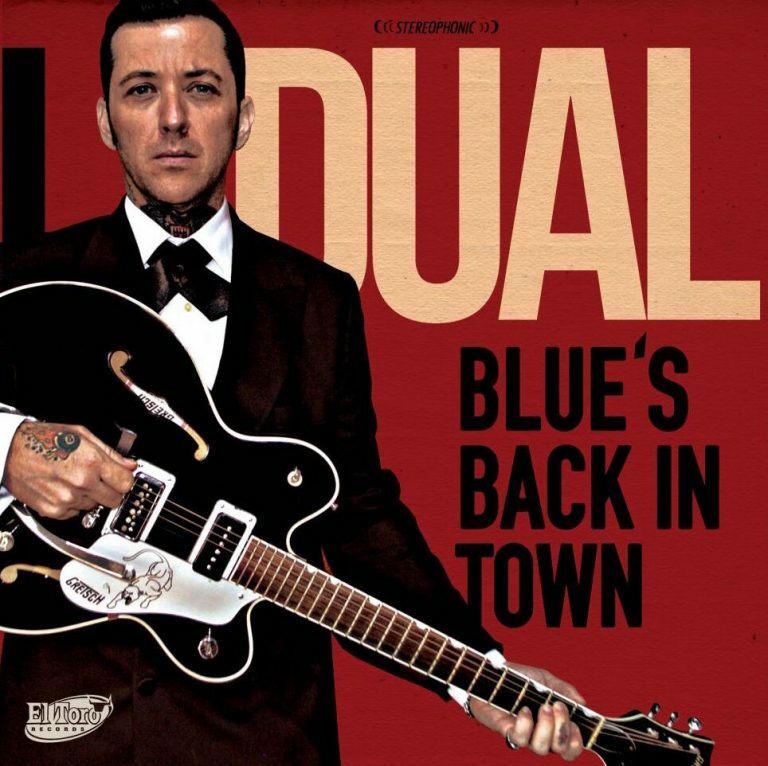 In the month of July, and the first edition of “Blue´s back in town” is liquidated, there is the launch of a 2nd Limited Edition printed on colored vinyl and including a special insert with lyrics and related information, published by El Toro Records. 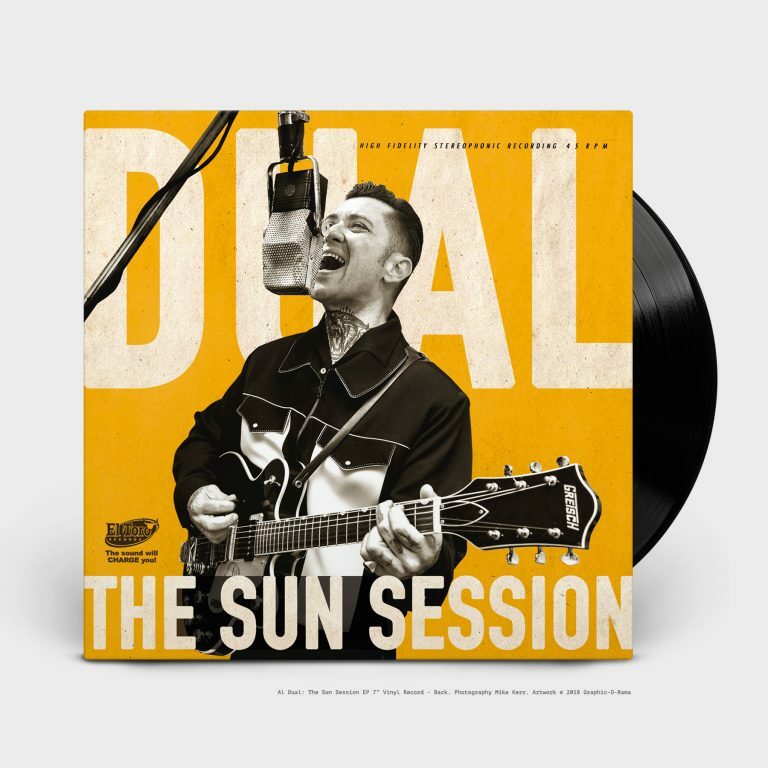 In October 2018 he publishes his last work recorded in the well-known studios Sun Records, mecca of blues, country, rhythm & blues and rockabilly. Where artists such as Elvis Presley, Johnny Cash, Carl Perkins, Roy Orbison, Jerry Lee Lewis, B.B. King, Howlin’ Wolf, Rufus Thomas, Junior Parker, Sonny Burgess, Billy Lee Riley, Warren Smith, Charlie Rich, Carl Mann and Charlie Feathers developed and laid the foundations of the music we know today. On February 9th he recorded this unique analog recording session in the same way and with the same scenario that other artists did in the 50’s. Dual is currently getting ready for what will be his next album for the record company El Toro Records. This LP will be recorded in the prestigious studios Lightning´ Recorders (Berlin) by the producer Cherry Casino. 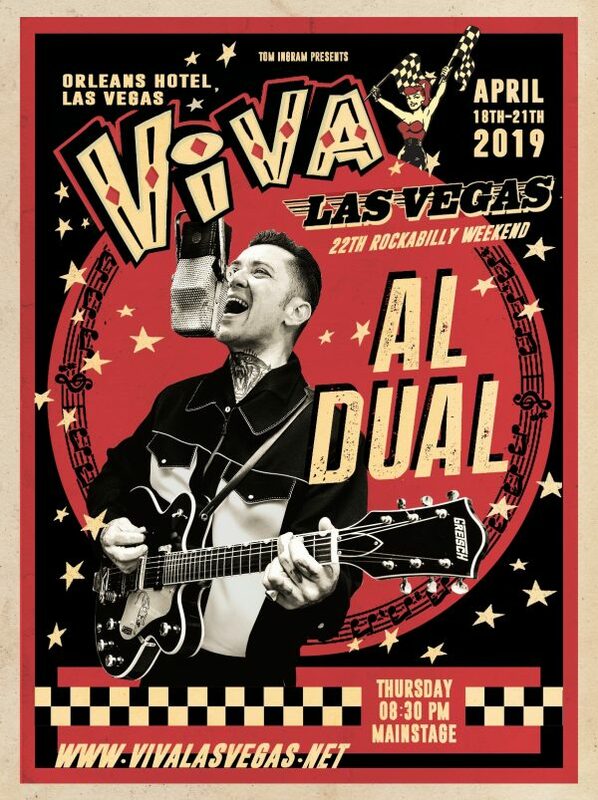 And, among the many dates and cities of the tour, his performance on April 18 and 19 in Viva Las Vegas Rockabilly Weekend stands out as the most important festival in the world. In addition to playing within the Guitar Geek festival with the fantastic Deke Dickerson, and other virtuosos of the guitar.